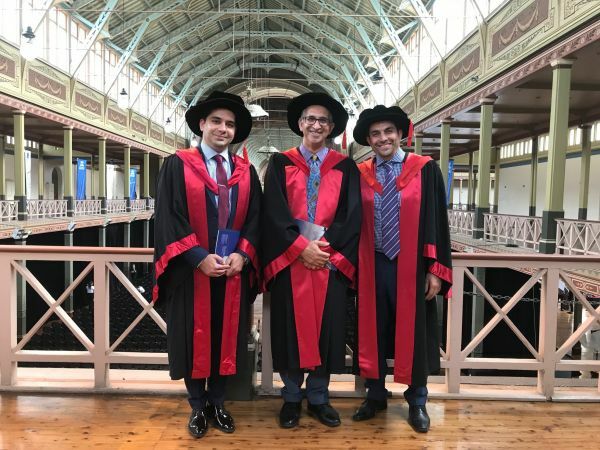 Congratulations to Dr Milad Haghani on receiving his Doctorate degree on Wednesday the 11th of April at the University of Melbourne. a rst in this eld. The outcomes of his research have helped to demystify misconceptions and pre-existing assumptions about escape behaviour, that were previously based purely on theoretical studies. Milad has also developed models that replicate human decision-making behaviour in simulated evacuations, which have applications in risk analysis, evacuation planning and optimisation. He has presented and published his work in more than fourteen leading scientific journals across a range of disciplines.